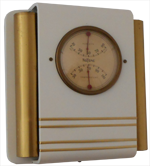 This resonator chime from NuTone features a thermometer and hygrometer. 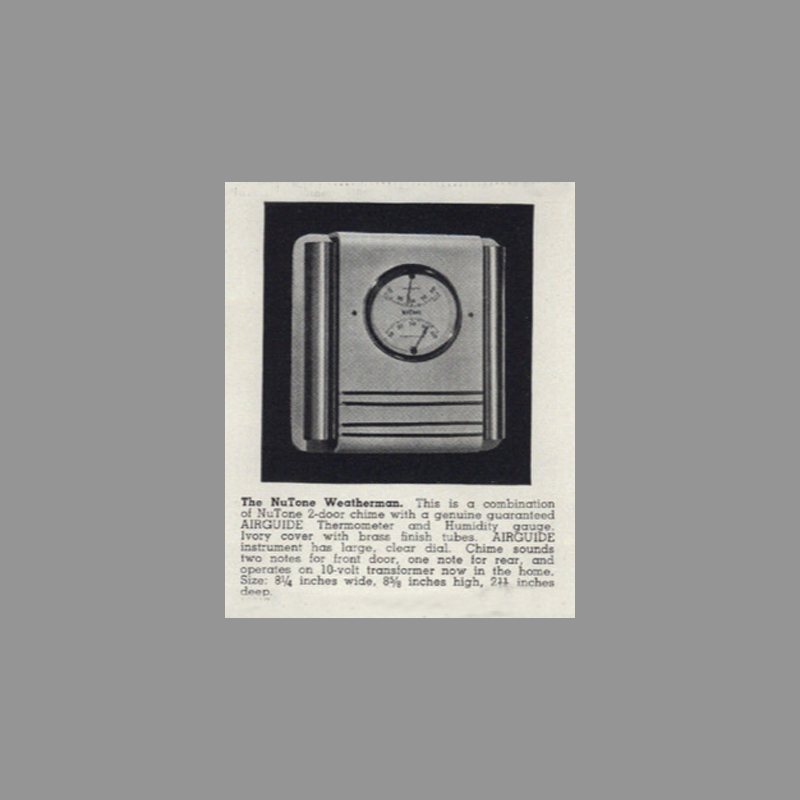 The instruments were manufactured by Airguide of Chicago, although the only branding on the dial is “NuTone”. Clocks were more commonly combined with door chimes, however this is the only chime I’ve seen with integrated weather instruments. Unlike electric clocks of the time, weather instruments require no source of constant electric power making the Weatherman a simpler installation. The Weatherman was not in the NuTone line long suggesting it did not sell well. 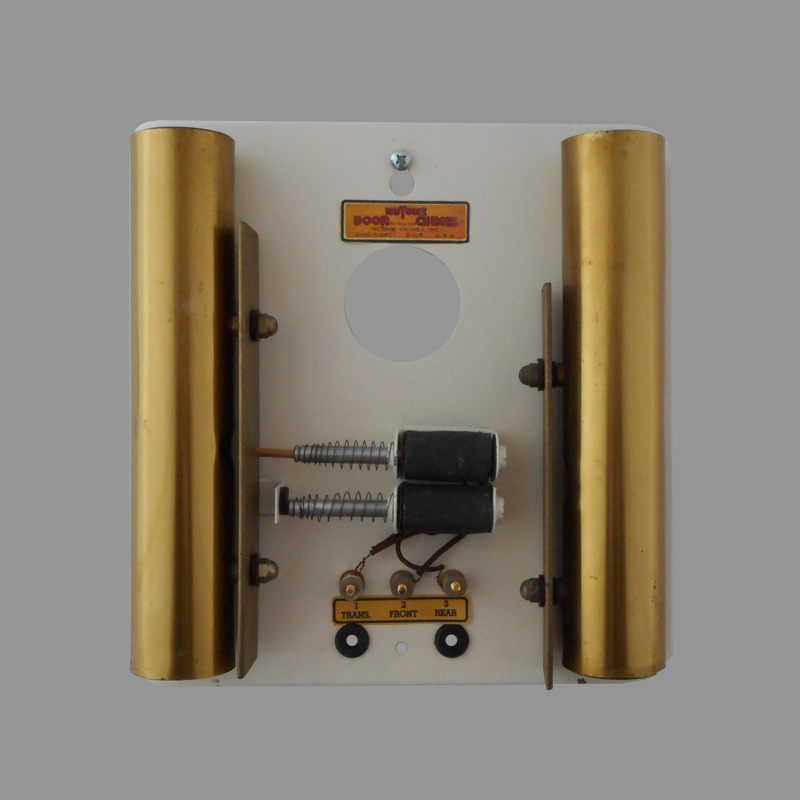 This is a combination of NuTone 2-door chime with a genuine AIRGUIDE Thgeermometer and Humidity gauge. 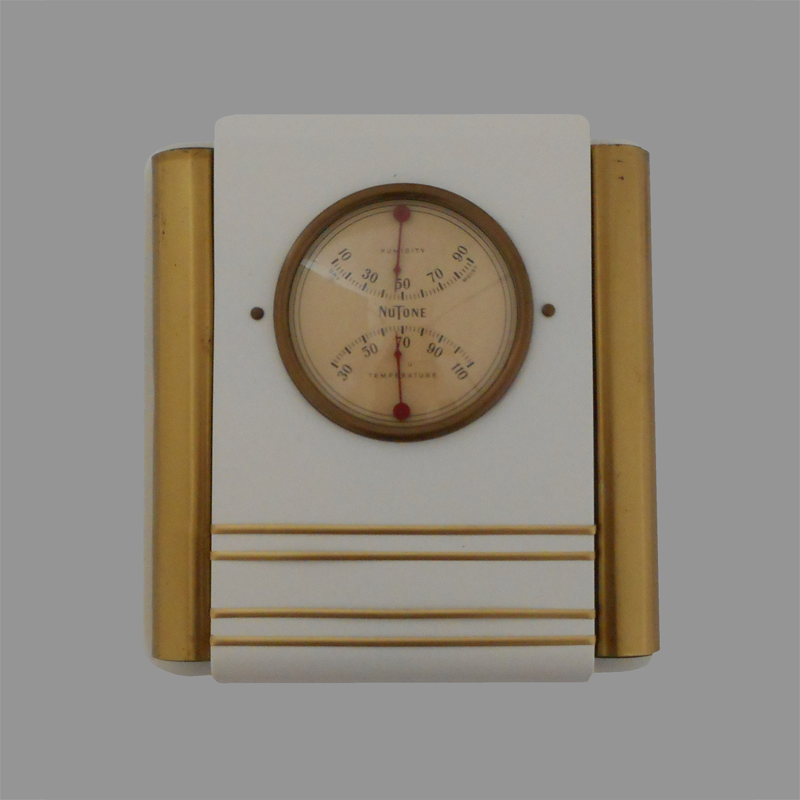 Ivory cover with brass finish tubes AIRGUIDE instrument has large, clear dial. Chime sounds two notes for front door, one note for rear, and operates on a 10-volt transformer now in home. Location of Manufacture Cincinnati, Ohio. Notes ElectraChime Collection. 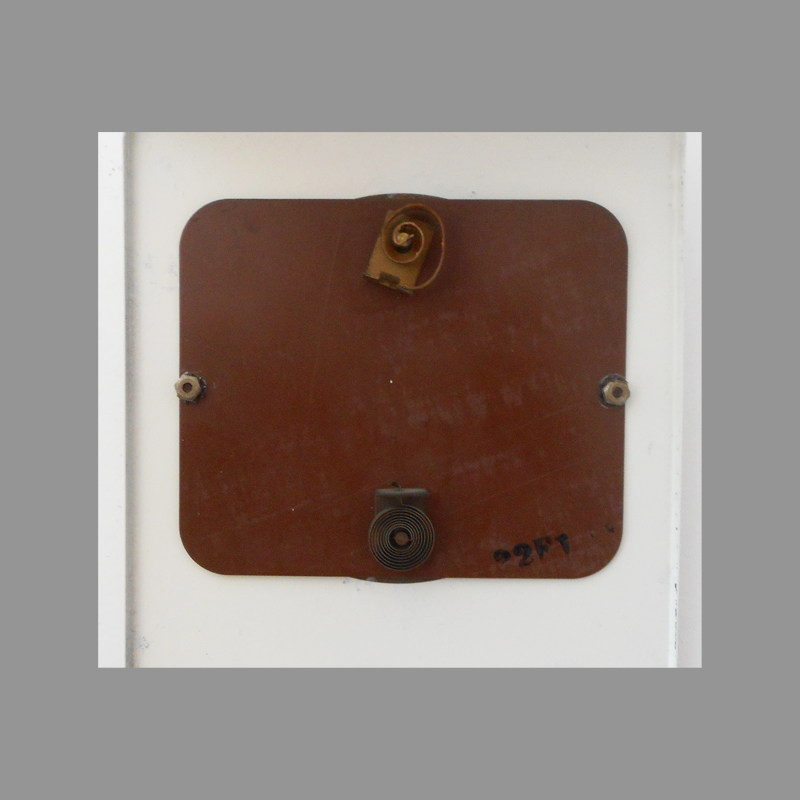 Cover and mechanism resprayed.